Answer: listeners everywhere. At no point does Rose sound more at home than on the musically mixed and matched “Shanghai Cigarettes.” Starting with a bassline rumble and stomping-on-the-floor percussion straight from Berry Gordy’s personal vault, the track showcases Rose’s earnest lyrics. This object-as-a-relationship song avoids feeling contrived thanks to lines like “Here we go again/With the long goodbyes/Cause you let the smoke/Get in your eyes” and “Tryin’ to quit will make you wish you/Didn’t start/When the box is empty/As the hole in your heart.” Rose’s vocals are so sweet and the beat is so contagious, you might be tempted to break up with your beau just to have an excuse to listen to it on repeat. The crooning background vocals rise and trade phrases with a simple guitar solo that follows the melody of the main vocal line. It’s a flush and full sound in perfect pairing with a sentiment that defines the entire album. Things have got to change. 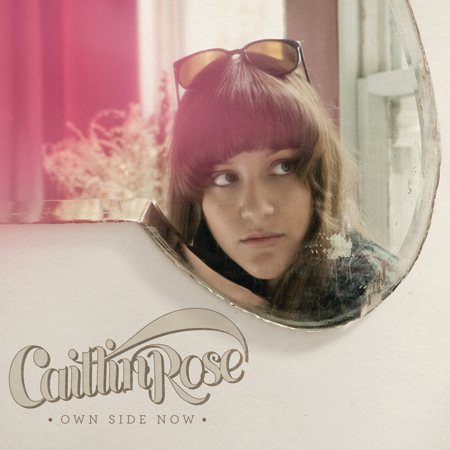 Caitlin Rose understands this; it’s what makes Own Side Now so exciting. Now the only question left is what to wear when listening to it. Whatever the purchase, make sure to keep the receipt. You’ll surely wish to be refitted by the start of the next song.